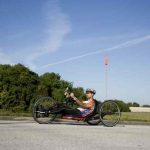 Handcycling Basics: Is Handcycling Right For You? Handcycling is a healthy activity for people who use wheelchairs. It provides exercise and keeps you active. Handcycles come in several different styles, so people with varying levels of ability should still be able to find a handcycle that fits their lives. 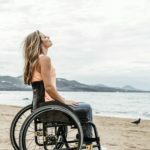 Before choosing a handcycle, it’s best to consult your therapist or doctor about which type of handcycle would be best for you. You should choose one that you can peddle without straining yourself or causing injury, but is still difficult enough to ride that it provides a workout. 1 How Do Handcycles Work? 2 What Are The Benefits? 3 What Types of Handcycles Are There? 4 How Do You Get On A Handcycle? 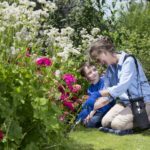 5 What Safety Precautions Should I Take? Handcycles are similar to bicycles. They have many of the same gears and parts. The primary difference between a standard bicycle and a handcycle is that you pedal a handcycle with your hands instead of your feet. For people with a more complex disability, there are even handcycles that include power assist. Everyone needs exercise. 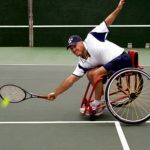 But it can be hard for people who use wheelchairs to get exercise in traditional ways. This can cause them to become unhealthy, gain weight, and experience depression. But handcycling can help with all of that. Besides burning calories, the exercise provided by handcycling releases endorphins into the body. These endorphins help fight depression. Also, handcycling is a sport that gets you outside. Vitamin D is absorbed from the sun, which helps regulate moods. And handcycling can be a group activity. 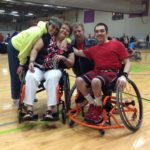 Like many who ride bicycles, handcyclists may find groups they like to travel with. Or, they may enjoy cycling with their children, spouse, or friends as they ride their bicycles. What Types of Handcycles Are There? The different styles take into consideration the rider’s ability, the bike’s function, and other factors, such as aerodynamics. You can find a variety of handcycles online. How Do You Get On A Handcycle? You may need assistance the first few times you get on a handcycle, but eventually, you should be able to do it yourself. Watching this YouTube video will show you how it’s done. First, pull your wheelchair up to the handcycle. Using your arms, lift your body with one hand on your chair and the other on your handcycle. Transfer your weight from your wheelchair to the seat of your handcycle. Once seated, you can place your feet in the pedals. Handcycles include foot straps to keep your feet securely in place. You may also need to secure your legs together with a velcro strap. Once you are securely in place, don’t forget to put on your helmet! When riding any bicycle, there are certain precautions you should always take. Make sure you remember to wear your helmet and any other safety equipment. Know the area you are traveling to so that you don’t get lost or run into any unexpected problems. Bring a cell phone with you in case you need to call for help. If you are going for a long ride, have other adults go with you. And when riding a handcycle, it’s a good idea to have a safety flag attached. Also, as with any exercise, make sure you don’t overdo it, especially when you are first starting out. If you’d like to learn more about handcycles, you can visit the Top End website. 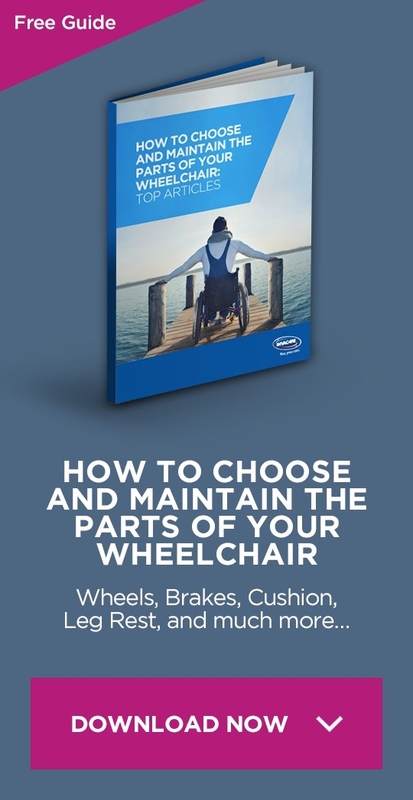 It answers a lot of questions about what type of bike you should get, how to take measurements, and what kind of maintenance your handcycle will need after purchase.